Suchitoto, El Salvador–It is dusk and from behind the emerald slopes of Cerro de Guazapa, the volcano that towers over this village like a brooding giant, the last golden blades of sun are slashing into the black jungle. In the small park in front of Suchitoto’s bone-white church, farmers in yellow straw hats are sharing a warm bottle of beer and talking quietly about their dismal corn and sugar cane crops. 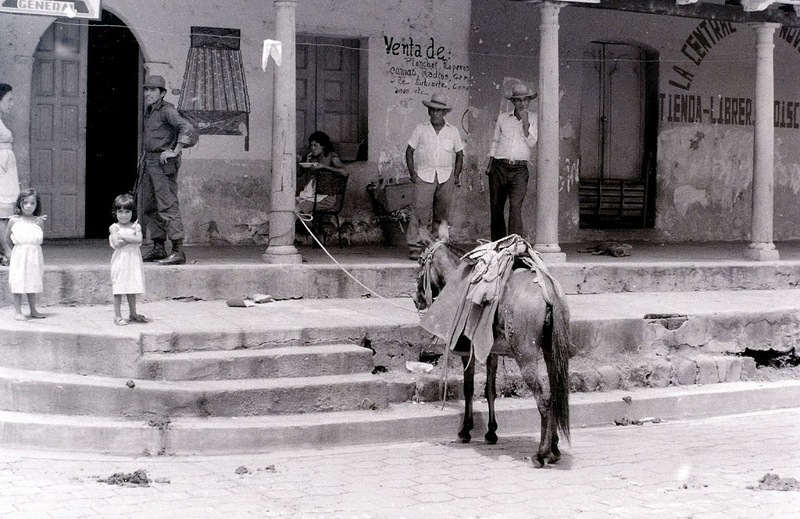 Burros and horses, the only form of transportation left in Suchitoto these days, stand motionless in the lengthening shadows of the fading day. And from the dark, grimy Interior of the Cantina El Colonial on Calle Francisco, an ancient jukebox is pumping out the mournful sounds of “The Tide is High” by Blondie. It is Saturday night in Suchitoto. And there is peace. Not constant peace, of course. That would be too much to expect in a town surrounded by guerrillas and occupied by a garrison of government troops. Like everything else In El Salvador these days, peace in Suchitoto is relative. For example, tonight there is only sporadic rifle and machine gun fire on the outskirts of town. That’s peace. 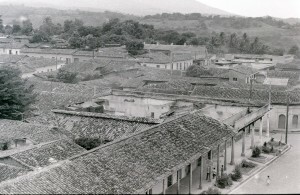 A week before, a Russian-made RPG-2 rocket ripped through the red tile roof of the Tienda Santa Rosa, destroying Suchitoto’s modest department store and killing three persons. 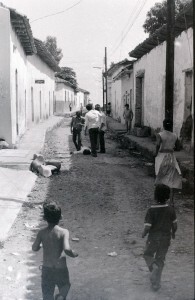 And today, just outside the Cantina El Colonial, Army soldiers gunned down and killed a suspected guerilla. That’s war. Some might argue that the destruction of one building and the deaths of three villagers does not qualify as war. They might insist that in a country where an estimated 26,000 persons have died since fighting between left-wing guerrillas and the troops of the American-backed civilian-military junta began 1-1/2 years ago, the deaths of three more is hardly significant. But in Suchitoto, a village of just 5,000 those three casualties were Nos. 574, 575 and 576. That means 11.5 per cent of Suchitoto’s population has died in a revolution few people outside of El Salvador seem either to understand or sympathize with. Ibarra, a carpenter in his early 50s, downed a shot glass of Tic-Tack, a strong corn mash whisky that is this Massachusetts-sized nation’s national drink. Then, leaning across the chipped and scarred Formica table, he nodded toward two 17-year-old soldiers at the next table who were fondling their loaded German-made G-3 semiautomatic rifles between sips of Coca-Cola. “You see those young pups over there,” he whispered. “If I were to start talking about how lousy the army is or how corrupt the government is or how great Cuba is, they would go back and tell their commander and I would have visitors at my house tonight. At another table in the crowded cantina, several teen-age girls flirted with the two soldiers who were demonstrating their combat readiness by pointing their rifles at color photos of American actors Eric Estrada and John Travolta hanging on the fading and chipped olive green walls. “Bang, bang,” said one soldier, the sights of his G-3 centered first between Estrada’s and then Travolta’s eyes. “Adios, gringos,” said the other soldier. The girls squealed with delight. 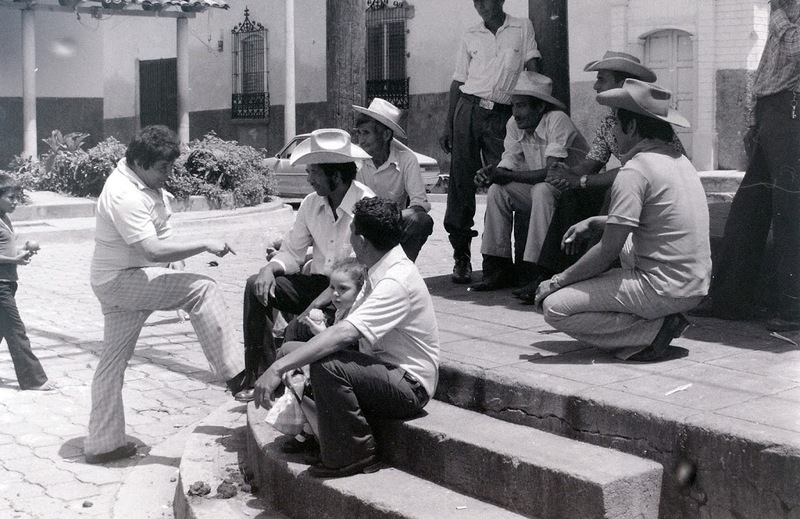 Outside, Alejandro Cotto, mayor and ‘patron” of this war-shattered town 50 miles north of San Salvador, stood in the ancient cobblestone street discussing the lack of food, water and fuel with villagers. 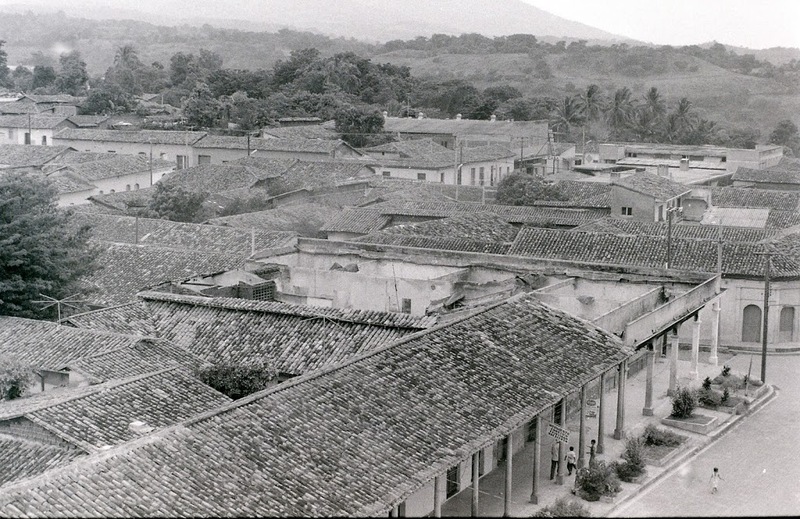 For the past 22 days, Suchitoto had been without electricity because leftist guerillas had blown up the towers carrying power lines to the town. This night, the power had come back on and the mood was almost festive. Children played in the yellow glow of street lights; radios and record players sent a miscellany of music into the night, and a few people cooled themselves in front of long-dormant electric fans. Cotto and a reporter moved down the street. Weeds were beginning to grow between the stones in the road and graffiti scribbled on the face of a building reflected the predominant emotion of this village. “We hate both sides here,” said Cotto. The guerillas are cruel and brutal and so is the other side. “This used to be such a happy town,” Cotto continued, ‘such a beautiful little place. Look at the name, Suchitoto. This is the Indian name for the Bird of Paradise, the flower that grows all over this area. Night came to Suchitoto abruptly as the sun disappeared behind the smooth cone of Guazapa. Overhead, stars gleamed like grains of sugar sprinkled on black velvet. In the streets, children darted between abandoned, burned-out buildings, shooting at one another with black cap pistols that looked chillingly like the 9 mm Smith & Wessons carried on the hips of the garrison’s army officers. Indeed. And part of the game, in addition to “shooting” the other guy, is to try and look as grotesque as possible once you have been “shot.” Most of Suchitoto’s children have seen the ugly grimace of death up close and they know from experience that few bodies riddled with bullets and shrapnel ever look peaceful. A child who can’t look properly mutilated or disfigured in “death” gets bad reviews from his ever-critical playmates. It is also slightly bizarre and surrealistic. Take Alejandro Cotto’s back yard, for example. The well-manicured garden stretches for several hundred yards, past lily ponds, exotic plants, statues, and fountains. A stone walkway leads one down several levels of terraces to a bluff overlooking pristine Lago Suchitlan, the 12-mile long body of water separating the provinces of Cuscatlan and Chalatenango. 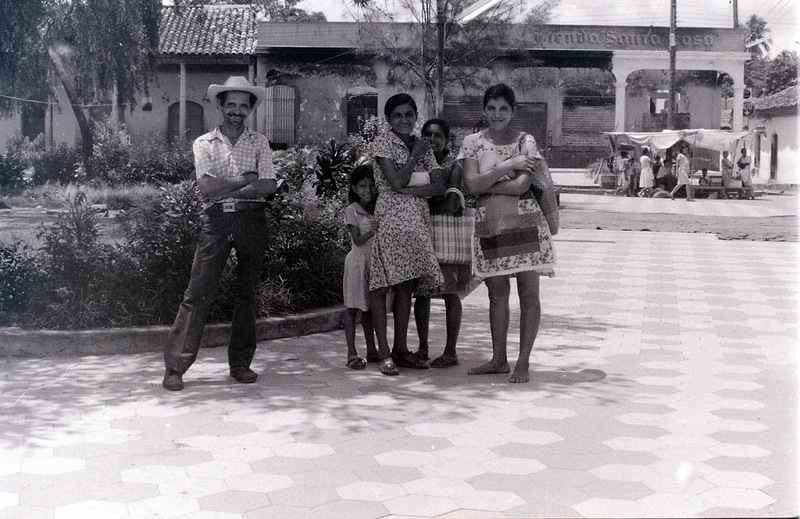 That in itself doesn’t make Cotto’s garden a metaphor for the chimerical qualities of El Salvador’s revolution. But at night, when the chatter of machine guns can be heard in the black hills nearby and Cotto turns on the yellow, green and blue Malibu lights scattered strategically around the gurgling fountain and hanging ferns, it is somehow all very hallucinogenic. “Aren’t you afraid all these lights will attract gunfire?” asked one of Cotto’s guests uneasily. Cotto smiled benignly and poured himself a glass of brandy from a bottle that had been hand carried to Suchitoto from San Salvador. Actually, Cotto seems to be one of the few men of means in El Salvador the left hasn’t targeted as an “enemy of the people.” This despite the fact that Cotto has a brother who is a high-ranking colonel in the Army. 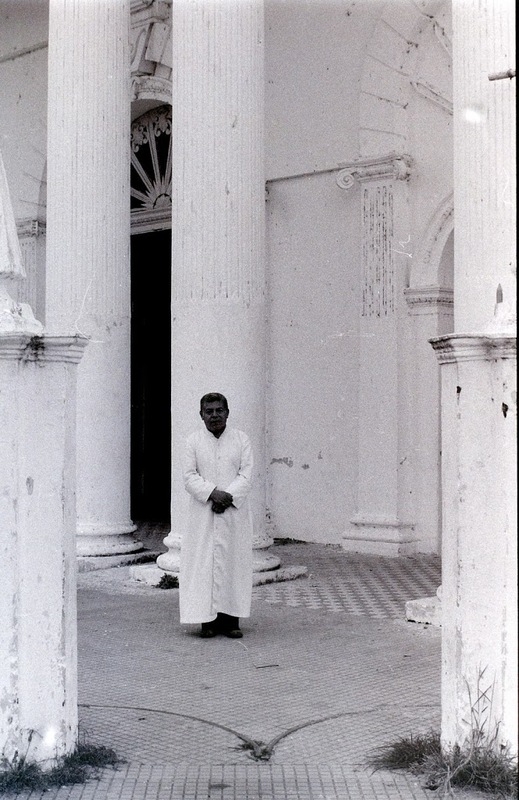 Another respected member of Suchitoto’s rapidly dwindling populace is Padre Carlos Armando Recenos, the small wizened priest who ministers to the people’s spiritual needs just as Cotto provides for their bodily wants. But peace is still far away for Suchitoto and even the church is not safe from attack. The priest before Father Recenos had dared to use his pulpit to speak out against the violence, blaming both the left and the right. He was subsequently told by both sides to leave town, or else. “Maybe if nobody helps either side then maybe the left and right will eventually kill each other off and we will have peace again through attrition,” said Father Recenos, waxing more political than is prudent for a priest in El Salvador these days.